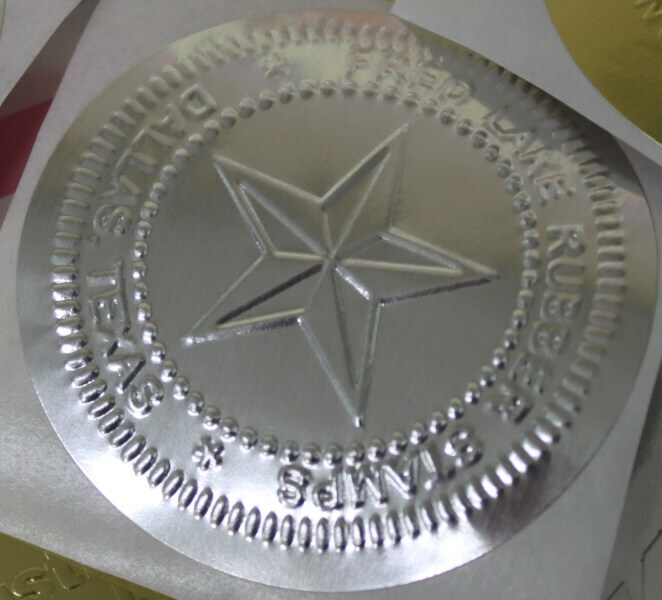 Roll of 50 Round Silver Foil Embossing labels. One ROLL of 50 HIGH GLOSS Silver Foil Embossing labels. These 2-1/4in. diameter labels will work great with any of our embossers. The festive round die-cut design adds an immediate feel of elegance to any embossed image.